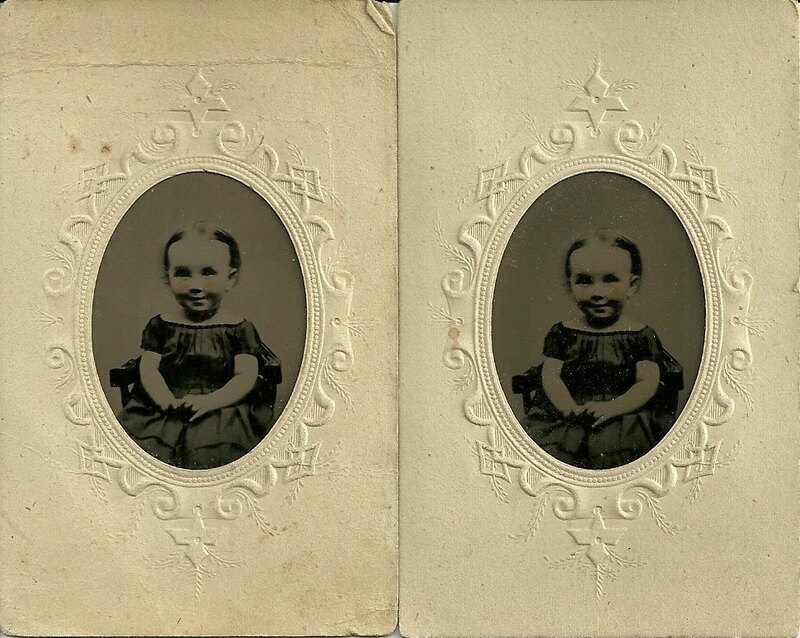 What a shame that this little girl is identified only as "Aunt Alice". No surname, no married name, no locale, no photographer. The tintypes were purchased in Maine, for what that's worth. 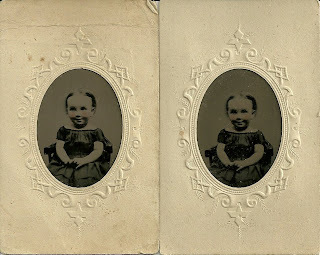 The tintypes are tinted and show a cute little girl who's giving the camera her full attention.